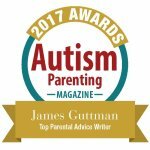 Autism To Me, Autism To You – Hi Blog! I'm Dad. When my son was first diagnosed with Autism, I struggled with what the future might look like. Like most others, when I heard the word “Autism”, I had my own preconceived notions of what it would look like. Lucas, delayed in many areas, didn’t seem to fit some of the criteria. How could my toddler have Autism if he made eye contact on most occasions or allowed me to hug him? I would practically beg specialists to explain this paradox and tell me, in either broad or specific detail, what he would grow up to be like. When they didn’t, I blamed it on their concern for promising something that might not come true. I’m embarrassed to say that it took me until now to figure out why they didn’t or, more appropriately, couldn’t. It’s because a child with Autism is still a child and no one can ever accurately predict their future. It’s as if you took your three year old, who isn’t on the Autism spectrum, to the doctor and asked if he would grow up to be a painter or a chef. Seem too far in the future? How about if they’ll be a good student in high school or struggle to make friends when they’re ten? None of those questions can be answered until the time comes that they face those obstacles. Asking someone, regardless of their degree, is as good a guess as yours. While they might be able to give you best-case scenarios or immediate observations, they’ll never be able to tell you who your child will grow up to become. Autism isn’t a broken bone. There isn’t a set list of things that your kid can or can’t accomplish because they are on the spectrum. It’s an individual situation that sees individual advancements for individuals. There are no generalities. On one hand, it can be a frightening situation wrought with uncertainty for their future. On the other, it’s a comforting thought to know there are no limitations and literally anything could be possible over time. The idea of a typical child, whether on or off the spectrum, feels like a myth. No matter how advanced or well-adjusted a child might be in one area, he or she could be lacking in another. Whether it’s social, academic, athletic, or emotional intelligence, it’s rare to find a boy or girl without a single downfall. Here’s the thing, though. The same idea of individuality applies to children on the spectrum too. I can’t tell you how many times I’ve come across an online meme that claims “Autism Is”… something that doesn’t apply to my family at all. Lucas doesn’t line toys up or cry during loud noises. That’s not what Autism means to our family. However, I recognize that to another parent with a diagnosed child, that’s exactly what Autism means. As of today, my son doesn’t speak at all. We use signs, unspoken understanding, and iPad apps for communication. He enjoys echoes and reflections in glass. When excited, he will sometimes begin clapping or yelling loudly. These are all common to my situation. Maybe they’re common to yours. We all hear the phrase “If you met one child with Autism, you’ve met one child with Autism.” It’s a great motto and belongs on a t-shirt with puzzle pieces and heart emojis, but it’s also a phrase that deserves to be pondered. It allows us to listen to one another. In every story I hear, I try to find pieces of my own. The perfect example for me is dealing with school. What I’m about to write will send some Autism parents into a state of shock but, well, we have never, ever, had an issue getting the proper treatment for my son from the school district. Bus matrons, one on one lessons, OT, PT, and anything else we’ve ever asked for has been granted. My special education meetings have basically included me and a group of administrators sitting around a table and talking about how sweet Lucas is as they sign off on everything he needs. Now, keep in mind, I hear about all the battles people have with the school districts. I know about dropped I.E.P.s and arguments over proper placement. I know that my child breezing through those meetings can be seen as luxury that they don’t get to experience. I know why that is, though. In fact, during Lucas’s first ever meeting to grant funding, his case worker, who had the best intentions, guffawed in a sarcastic way before verifying why. Uh, yeah. I, uhhhh, don’t think you’re going to have a problem. I am pret-ty sure they’re going to just sign off. Ha ha. Sure, I’m glad I never have to fight to get him his proper services. Yet, it’s a recurring reminder of how much help he still needs. The ease in which we get through them makes me realize that his missed milestones, which are nearly invisible when we’re alone, are glaring to most in the outside world. That doesn’t mean I can’t feel for a parent who has to fight for their services. That frustration must be maddening. As someone who wants nothing but the best for my children, I know the worry over not doing whatever you can. Even though I don’t experience that specific situation, I can still empathize with that pain. Some of the things I talk about might apply to your situation while others might not. My stories or emotions through the years may not match to yours at all. They’re not supposed to. I’m not telling you what will happen or what to feel. I’m simply telling you what happened to me and what I’ve felt. Is my son typical? No. Is it because he has Autism? No. It’s because he’s a kid and none of them are. We all grow up to be distinct individuals with our own personalities. No one on Earth can ever predict who my child will grow up to be. And I wouldn’t want them to be able to. Next New Year. Same Me.